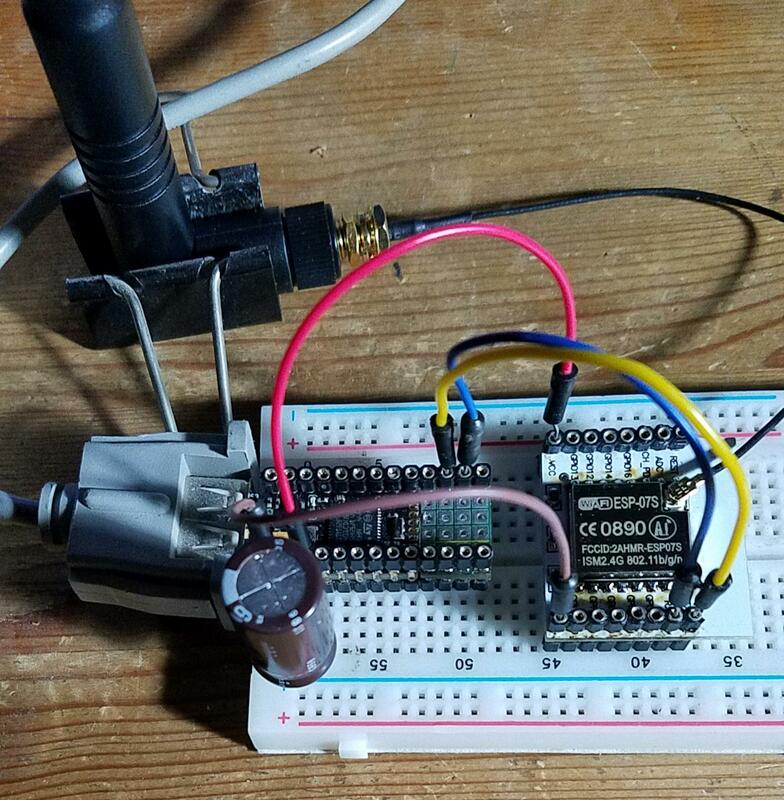 I found this forum entry about ESP8266: CIFSR failed - from three plus (3+) years. 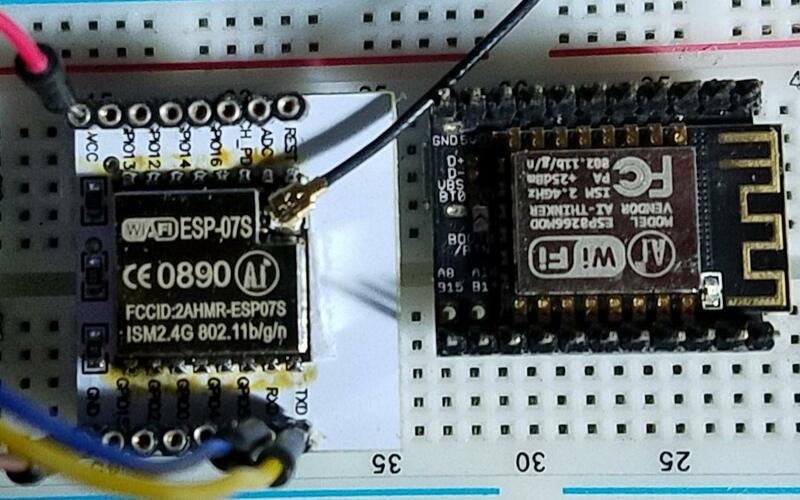 @Gordon hinted that "ESP8266WiFi" may not be the right module version. And in deed - even though my ESP-07S are of more recent version when looking at the dates, "ESP8266WiFi_0v25" module made the trick. I would like to have the option to put my choice of ESP8266 modules on the Espruino-Wifi board. Espruino Wifi is a nice, complete, integrated thing... and uses less space than this carrier/breakout for the Wifi module just by itself (see picture). The carrier is so wide that it is not usable on regular bread boards: it buries all connection points. I had to resort to the double pinning with pins on the back and socket-sockets on the top. If narrower, the labeling of the pins would have to go, or at least to shrink... Espruio-Wifi has same length but is three pin rows more narrow. @Gordon, this provides me now substance to answer a question from you whether to think about unpinned Espruino-Wifi: yes... I can not say with reason... and even a step further: un-ESP-ed... Espruino-Wifi-wifi-unpopulated then even becomes a viable alternative for the PICO... pins still available on (ESP8266) pads, but with micro USB (but... yeah... it has less freedom in power, but faster CPU - 100 vs 84 MHz - and more RAM 128 vs 96 k, and flash 512 vs 384 k.
Ahh, yeah - in all the code examples on http://www.espruino.com/ESP8266 I leave the ESP8266WiFi_0v25 module as the default one so copy/paste type stuff should work. I'm open to pull requests that might make it more obvious though? 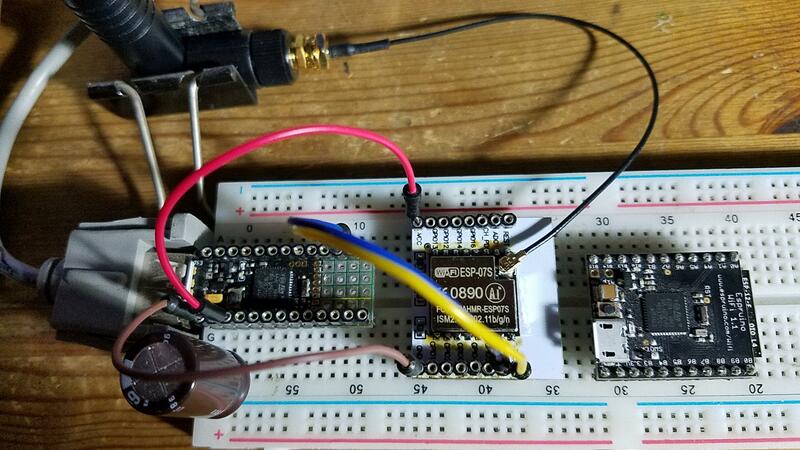 I could just make ESP8266WiFi the new one, with `ESP8266WiFi_early as the handler for the old one. While I could do the Espruino WiFi unpopulated if I do a new batch, what different ESP8266 modules were you thinking you'd use? As I understand it all the ones that fit in that footprint are effectively the same. That's correct, they are all the same because the layout / routing / RF constraints do not leave much open, except that some modules carry out the extra serial memory interface pins... like the ones on my Espruino-Wifi boards (but it is not connected). This ESP-07S does not expose this extra pins, as you can see in the pic showing the back. Ahh - yeah, that was actually kind of an accident on my part - I should have used the one without the memory pins. 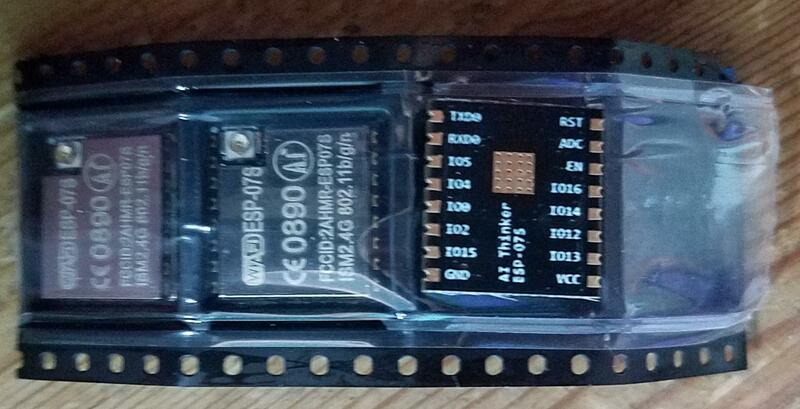 But that's interesting - those ESP07S have a UFL connector for an aerial? I can see that would be a great option.